For your reading and learning pleasure — Enjoy! Invite Robin to speak at your next conference, staff meeting, workshop, or service club meeting. Life is hectic! Our days are filled with commitments, family, obligations, activities (hopefully exercise fits in here), shopping and cooking, reading, driving to and fro…it’s a busy day. Many of us live in a “hurry up and get it done” mode-either multi-tasking two or three activities at the same time, or while in the midst of completing one task, already thinking about what is next on the list to do. When did we buy in to this mode of existence-getting as much done in one day as humanly possible? Imagine This: A much-anticipated dinner at that new restaurant you have been so eager to try, perhaps in celebration of an anniversary or a promotion. It’s been a busy day without much time for lunch. You are ravenous when the hostess seats you, and thrilled when the bread, oil, and balsamic vinegar arrives. Marveling at the chewy texture of the ciabatta while enjoying a glass of wine, you contemplate the menu. Along with the divine roasted beet, arugula, and goat cheese salad, you enjoy a second and maybe a third piece of bread. When the entrée arrives twenty minutes later, you are amazed to find that you are no longer very hungry! Of course you feel compelled to try the entrée, which is delicious, leading to an enticement for a couple more bites, and before you know it, you are uncomfortably full! Does this sound familiar? Does the word “moving” conjure images of sweat, grunts, and aching muscles? Have you enjoyed a Zumba class on a Friday after work, only to rise Saturday morning with a stiff back? Or joined a gym with the best intention of managing your weight, gaining energy, and becoming fit, to find that after a valiant initial 6 week effort you have become quite skilled at finding more and more excuses that prevent your maintaining a workout schedule? Moving does not have to be an Olympic effort. Movement should not be “hard”, unpleasant, or expensive. What moving should be is fun, varied, stimulating, and within your comfort zone. For 20 years, Robin has been promoting optimal health and lifestyle by facilitating workshops and seminars on a wide spectrum of topics. Her easy-to-understand manner and real-life anecdotes offer an informative and pleasant learning experience for all participants. 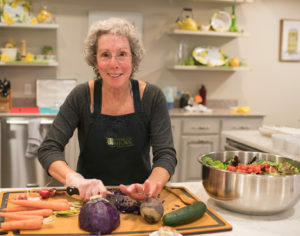 Whether your group is interested in eating for health, fitness, risk factor identification and modification, or relaxation for stress management, Robin has the clinical knowledge to provide relevant, science-based information. Let her bring her inspiring message about achieving optimal health to your company, professional group, or service organization. The dynamic process of behavior change becomes a reality when you identify your health vision, from which we will create realistic daily and weekly goals that bring you ongoing success and forward movement. Optimal lifestyle management is a long-term commitment that is within reach. Contact me today learn how you can enjoy optimal physical and emotional health and well-being.